Tom Kenny as the voice of N.I.G.E.L. F-15                 3 Nov 54   Godzilla, King of the Monsters! 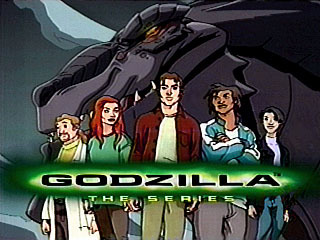 F-28                13 Dec 03   Godzilla:  Tokyo S.O.S. 3. 1- 3        104     26 Sep 98   D.O.A. 17. 1-17        114     20 Mar 99   Bug Out! 24. 2- 3        135      2 Oct 99   S.C.A.L.E. 34. 2-13        132     26 Feb 00   Where Is Thy Sting?